In contrast to the architecture of the courthouse. 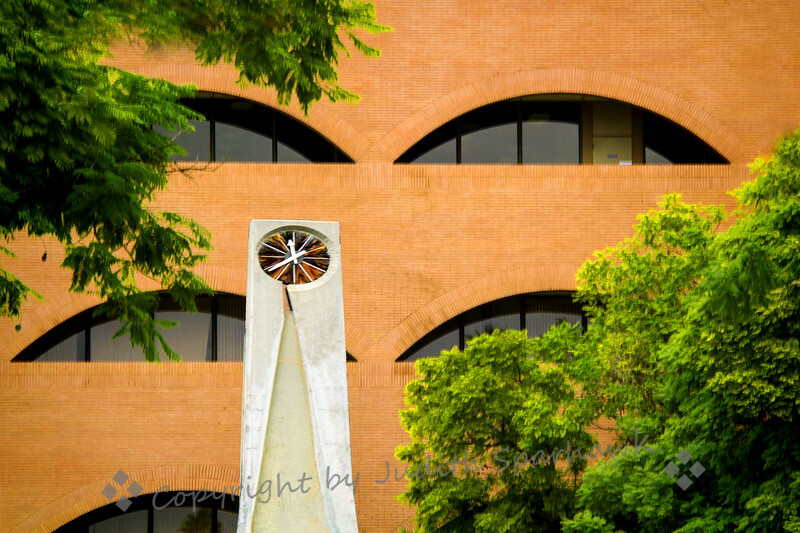 just a couple of blocks away is the Riverside City Hall, a much more modern building. It is six stories high, with these scallop shaped windows on each floor. I liked the modern style clock at the side of the building.